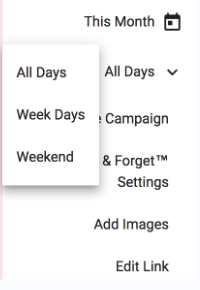 On the Dashboard and Manage Campaigns pages you will find the filter selection for All Days, Week Days, and Weekend. In the Campaign Details menu you will also see the Days filter. This Days filter works alongside the Date filter. The Date fliter which allows you to select Today, Yesterday, 2 Days Ago, Last 7 Days, This Month, All Time, or specific days by selecting the range from the calendar picker. The Date filter and Days filter work idependently - if you select a week day with the Date filter and then choose to show only Weekend on the Days filter you will not see any data. 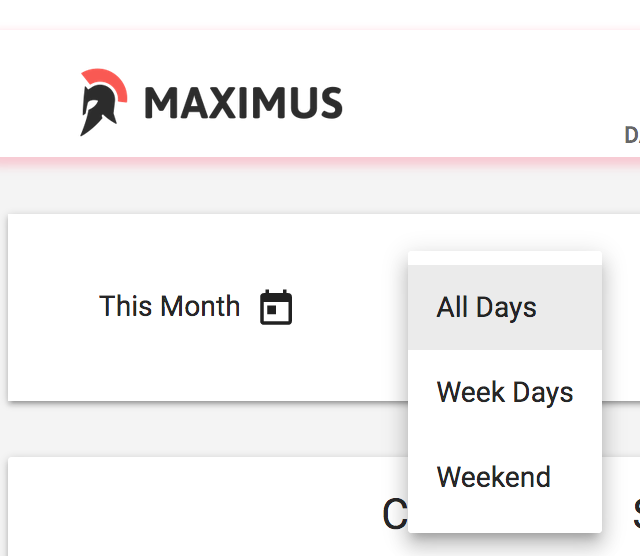 You can utilize the Days filter to examine traffic and stats to compare how campaigns perform on the weekend in comparison to the week days. Some campaigns perform better on week days, and some do amazing on the weekend. If you watch performance with the Days filter, you can then take advantage of Day Parting to target which days you want to have a set lower CPC or pause completely.